There’s nothing quite like the promise of new arcade games to get you through an otherwise undesirable journey on the London Underground. Even though I’ve been on it fairly regularly as of late, I seem unable to adjust to the crushing mass of humanity which surrounds me on the central line. Still, remember the arcade games! 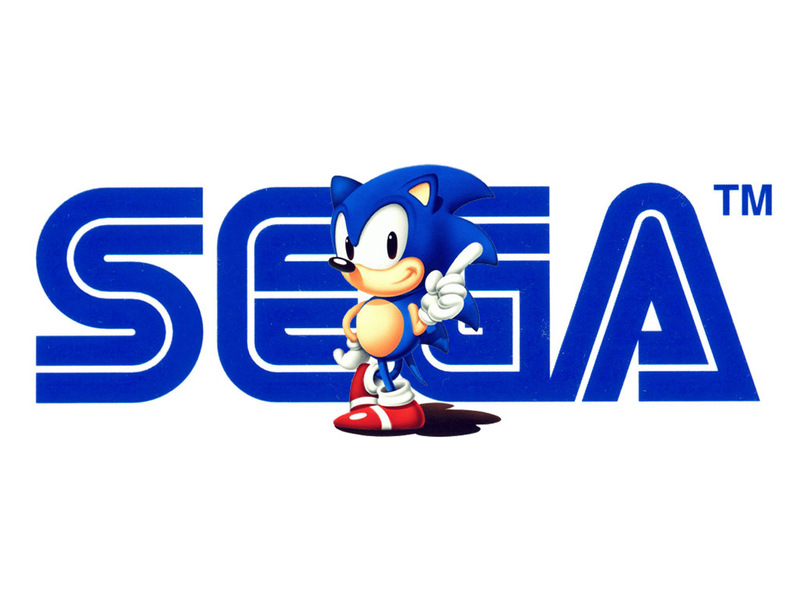 And so it was that I turned up at Sega’s exhibition. The main attractions were already burned into my mind: GRID, which I’d already played, and Let’s Go Island which I hadn’t. Still, I decided to run around the room and check everything else out first. I saw some familiar sights! The Game Gate VU, as found in the bar at my university; Hummer Extreme Edition, surely the first iteration of a Hummer-related product to be smaller than its predecessor; Sega Racing Classic, still incapable of accommodating the 7-strong group I last played Daytona USA with. Oh well! Naturally, there was a fair amount of that there redemption stuff too. One of the most eye-catching examples was Monkey Paradise, a rather colourful product that has come from Saint-Fun and IGS in Taiwan. Admittedly, my interest may have been rooted in a desire to see the visually similar Super Monkey Ball series return to the arcade, where it most definitely belongs. Also, ICE products such as Tippin’ Bloks (no doubt unrelated to the popularity of other block-stacking games) and Deep Sea Treasure were about. And so, to the two big video games. Firstly GRID. I’ll be posting about this in more detail very soon, but the basic information on this one is that it’s a version of Codemasters’ consumer racing series, Race Driver: GRID. Most of the features you’d expect are there: licensed circuits and cars abound, and excellently the cars all display permanent damage during the race. The time-reversal feature of the home games has disappeared for reasons of practicality, replaced by a reset button to help you get out of the most disastrous crashes. Of course, this allows for some of the crashes to be pretty wild without being game-wreckers. 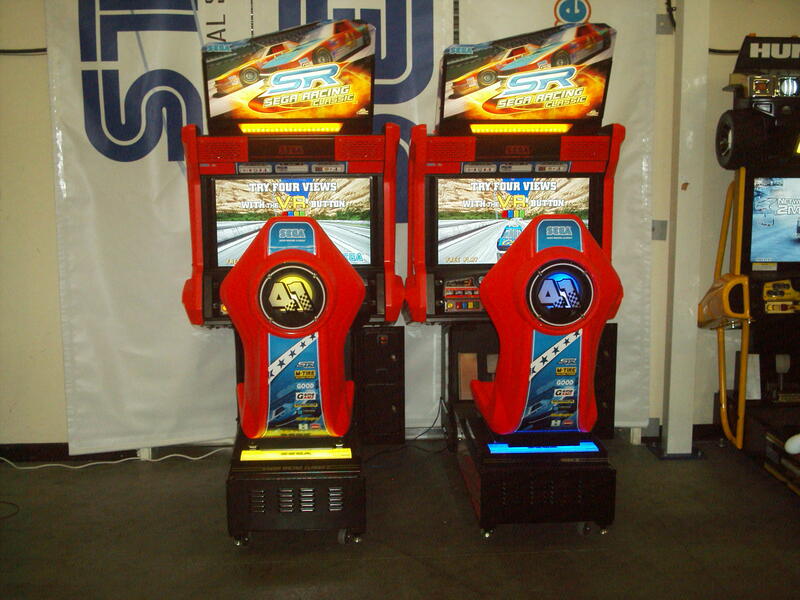 Single player is a standard timed six-car race, with Single Race and Championship Mode available. Unusually, rather than allowing any car to be used on any track, tracks and cars are linked together with each course offering four cars of varying difficulty. Advancing in the three-race championship only requires a podium finish, but the challenge (and thus replay value) is drawn from the unlockable courses that reward first-place finishes. Where the game is most successful is in multiplayer. With linked play supporting up to six cabinets, races can get pretty hectic. What’s more, certain locations such as Milan’s roundabout are absolute crash magnets and will cause some laughter – sometimes, the only way you’ll have a shot at getting through is to do so in first place. Later courses definitely sort the Michael Schumachers from the Michael Gambons, too! GRID launches next month. The game’s key appeal is in its brand recognition and real-world licences, and this should draw players in. The presentation is slick – the music is right and the graphics are nice, if a little too grey – and multiplayer is something of a winner. If players are working hard to get those locked courses in the same way I did for Sega Rally 3’s Lakeside, things could work out well. 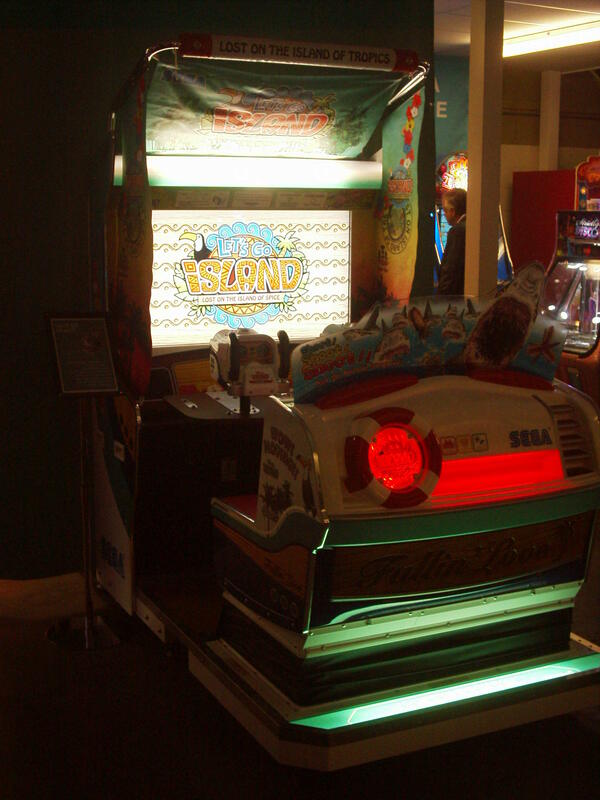 As for Let’s Go Island, it’s something I’d been waiting to play since seeing the video at EAG in January. Things certainly started off promisingly enough! Sega blue skies, and the endearing B-movie voice acting familiar to fans of the company’s arcade output – this time, we follow the adventures of a rather moany tourist and her inordinately laid back tour guide (who, as you may discover, is not Australian). And then, you get into the shooting action – pull trigger, point gun. Wave upon wave of mutated animal life swarms upon our hapless heroes, until eventually a boss is reached. Between this, minigames happen – there are three types on offer here, button-bashing, timed presses and direction-pointing. The game contains five stages, three of which you’ll play in any single game. The first and last appear to be fixed, with the middle stage chosen by the player. I chose the aptly named “Golf Buggy Paradise”, which featured a daring escape on a golf buggy. This was followed by a scene in which our heroes resort to attacking the enemies with the long-banned martial art of Golf. I kid you not! Unfortunately, this was just another “stop the arrow in the right place” job. As with Let’s Go Jungle!, the mechanics are simple. The game rates couples on their compatibility in multiplayer, and there’s a life-up gauge which is filled by picking up hidden coins, located in background objects. The cabinet itself is now an open design as opposed to the enclosed design from Jungle, with a motion platform seat. This provides motion but it’s used in some slightly odd ways, like a slow wobble for going underwater. Being the sequel to a popular game, Let’s Go Island would seem like a fairly obvious bet for success. However, the game’s challenge is that it is up against stiff competition in Deadstorm Pirates from Namco. The similarity between the two games is obvious and thus direct comparison is unavoidable. The Ringwide hardware doesn’t come out favourably in graphical terms, with probably the least pleasing aspect being the jagged edges resulting from the lack of anti-aliasing in Let’s Go Island. More problematic is that even if you disregard the lack of a wheel control, Let’s Go Island doesn’t have the same level of variety as Namco’s offering. The bosses are neat enough, but normal enemies are all similarly disposed of and the three types of minigame are fairly obvious. Let’s Go Island is a charming enough game in the same way as its predecessor, but doesn’t exactly make Let’s Go Jungle obsolete and struggles in comparison with its nearest competitor. The game is well-placed to capitalise if operators dislike Deadstorm Pirates heading to Playstation 3 (albeit in a low-key manner), and if the non-motion models are offered at a very competitive price. Join me tomorrow for a report on Namco’s product launch! That was a surprise since we had heard Ringedge at first. I guess it came down to saving on costs to make it competitive but is the price difference between the boards in the thousand range? Probably not. 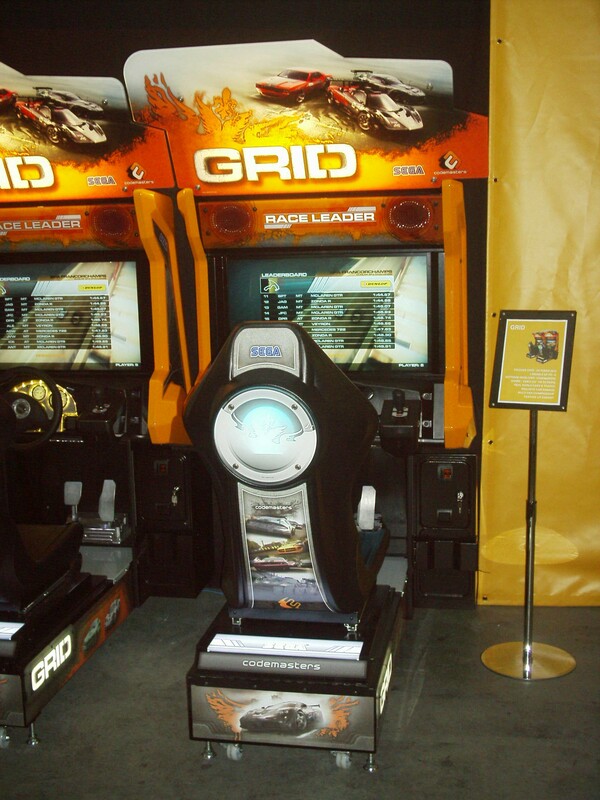 It would be great to have LGI and DSP side by side to compare, I guess we’ll have that chance at IAAPA. Same thing with GRID and Dead Heat.